What Is a Revocable Living Trust Amendment? Before discussing when Trust Amendments or full Amendments and Restatements are required, you'll need to understand a Revocable Living Trust. A Revocable Living Trust is a legal contract between the Trustmaker and Trustee that can be changed at any time and requires the Trustee to oversee the management of property transferred into the trust by the Trustmaker for the benefit of the Beneficiary of the trust. The key to a Revocable Living Trust is the fact that it's revocable—meaning that at any time while the Trustmaker is alive and competent the Trustmaker can change, modify, update, or completely revoke the provisions of the trust agreement. Since this is the case, the name of the legal document that's required to change, modify, or update the trust agreement is called a Trust Amendment, and the legal document that's required to revoke the trust agreement is called a Trust Revocation. 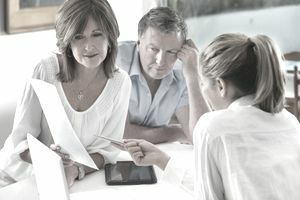 While there aren't really any written rules as to when an Amendment instead of a full Amendment and Restatement is required, the general rule is that if the changes that the Trustmaker wants to make are minimal, adding or deleting specific bequests, changing who will serve as Successor Trustee, updating a beneficiary's or Successor Trustee's legal name due to marriage or divorce, then a simple Trust Amendment will cover these types of changes. On the other hand, if the changes that the Trustmaker wants to make are significant, like adding a new spouse as a beneficiary, completely cutting out a beneficiary, changing from distributions to family members to distributions to charity or vice versa, then a complete Amendment and Restatement should be considered. What if you've made a series of three or four simple Trust Amendments over the past 10-15 years and you want to make another change? Then consider consolidating all of your changes into a complete Amendment and Restatement, this will prove to be helpful to your Successor Trustee who will have a single document to follow instead of piecing together the provisions of four or five separate documents. If you're considering making a change to your Revocable Living Trust, don't simply mark up your trust agreement and stick it back in the drawer. Why? Because a Trust Amendment must be signed with the same formalities as the original trust agreement, so your handwritten changes will, depending on applicable state law, either void the trust agreement or be ignored. Instead, ask your estate planning attorney to prepare the Trust Amendment for you so that it will be legally valid and binding on all of your beneficiaries. The answer is no—the nice thing about doing a Trust Amendment or an Amendment and Restatement is that the original name and date of your Revocable Living Trust will remain the same. That way, all of the hard work you put into funding your Revocable Living Trust under the original trust name and date won't need to be undone.